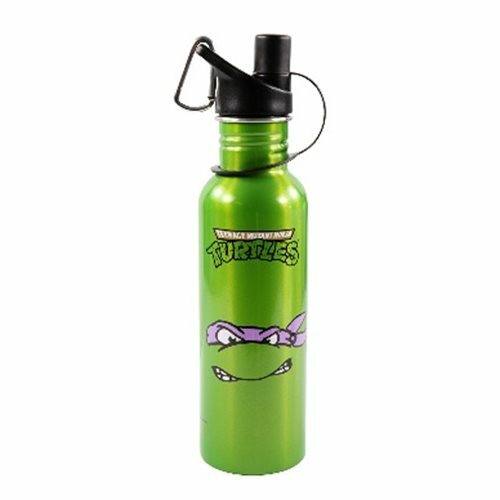 Wet your whistle the TMNT way with your very own Teenage Mutant Ninja Turtles Donatello Water Bottle honoring the scientist, inventor, engineer, and technological genius of the Turtle team. Hand wash only. Not dishwasher safe. Do not microwave.